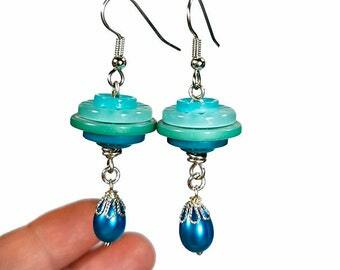 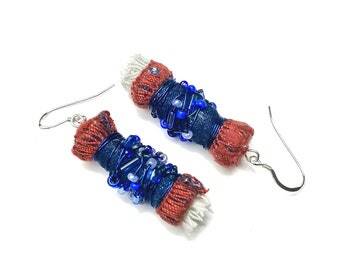 Repurposed denim dangle earrings made from coiled blue jean seams with your choice of aqua or purple fabric and shimmery glass beads. 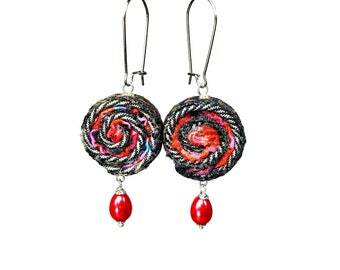 These unique earrings measure 2 1/8" long with silver plated ear wires. 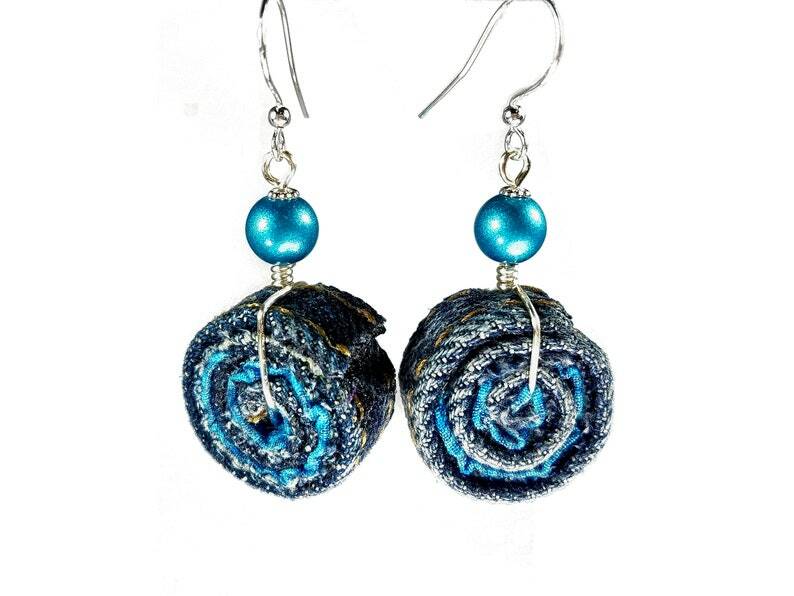 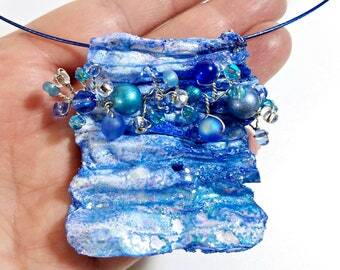 Chunky handmade fabric beads are 3/4" to 7/8" diameter and 1/2" thick. 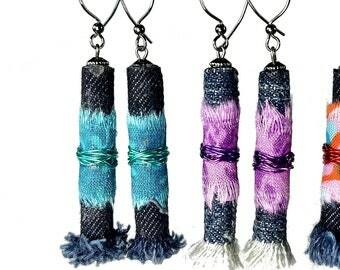 Super fun and unique, they make great gifts packaged in a cute recycled decorative box. 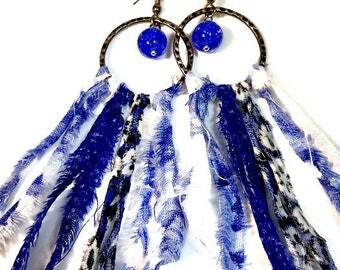 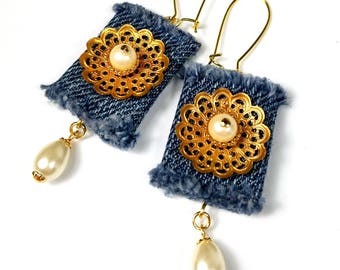 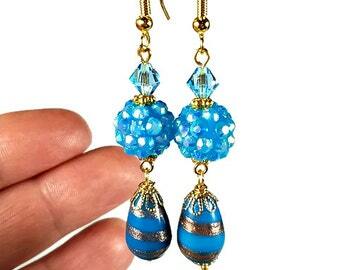 - Unique design you will not see these blue denim earrings on anyone else! 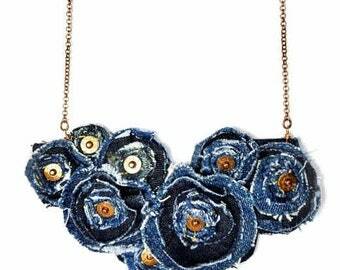 Your satisfaction is guaranteed, please CLICK the "add to cart" now or heart to "favorite", thank-you!